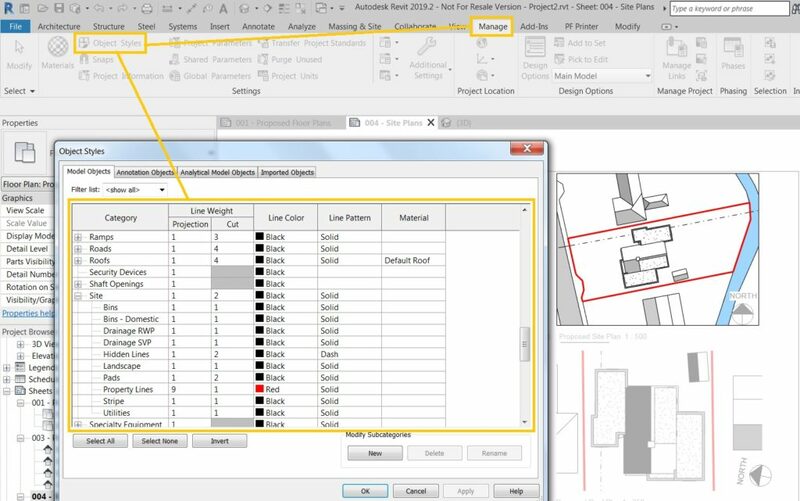 To edit the linetype of property lines in Revit. Navigate to Manage Tab > Settings Toolset > Object Styles and finally, it is found under the Site category. Here you can change the thickness of the line and also the colour. This change is reflected project-wide as opposed to it being view specific. This is also a good location to edit further Revit object styles.